6$ participation fee for the shipping of orders of less than 50 USD. FREE SHIPPING AND INSURANCE, WORLDWIDE BY CERTIFICATED AIRMAIL (POST SERVICE) for orders of USD 50 USD and above. Delivery time about 2 weeks from the day of deposit to the post office. If your order is divided in more than one shipment, each additional shipment will cost 12$. All orders are sent within one week after reception of the order. 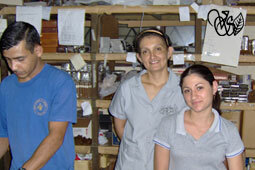 The orders are usually sent directly from Vegas de Santiago Costa Rica , the manufacture of Premium Cigars. Tracking number : track your order with your personal tracking code number. Any shipments that do not arrive within 30 days after delivery to the post office will be replaced or reimbursed. Please contact us in this case. Shipping by DHL, UPS or Fedex upon request. They are very, very expensive in Costa Rica.